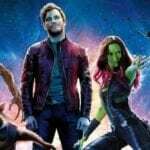 With book adaptations, it’s often hard for film reviewers to separate the source material and big screen adaptation if they’ve read and seen both. 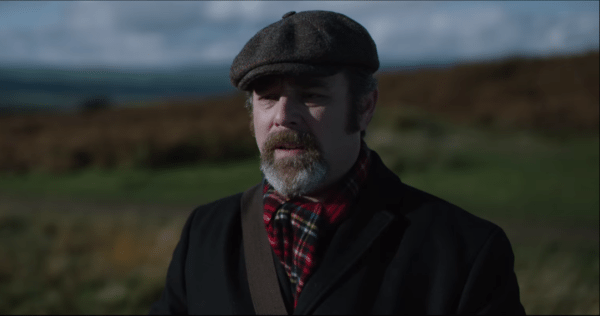 The same can be said for Ghost Stories, the brainchild of Andy Nyman and unseen League of Gentlemen-er Jeremy Dyson, a film adaptation of their incredibly successful and truly terrifying stage play. Can the film succeed in bringing that same level of tension and scare to a cinema audience? Particularly for those who enjoyed the incredibly terrifying theatre experience. 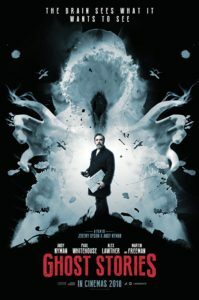 Ghost Stories, as the title would suggest, tells three different unnerving tales and horror and mystery. The first sees night watchman Tony Matthews (Paul Whitehouse) spooked by strange noises in a derelict asylum, the second features Simon Rifkind as troubled teenager Alex who was tormented by a demon creature when his car breaks down, while Martin Freeman plays Mike – a wealthy man struggling to deal with the realities of a family tragedy. This is all connected by the co-writer and co-director Nyman who plays Professor Goodman; a TV sceptic who is paid to disprove these spooky shenanigans. However, there is more afoot. The horror anthology mould has seen some new life breathed into it on the small screen via Charlie Brooker’s incredible Black Mirror, and since then there has news of a newly revamped Tales From The Crypt, Tales From The Darkside and even the 50s sci-fi classic The Twilight Zone with Get Out’s Jordan Peele. However the big screen hasn’t had that same resurgence. A Christmas Horror Story and Tales From Halloween both found audiences, but both took lighter approaches to its horror (to great effect it must be said) while Ghost Stories is an all-or-nothing fright fest (no pun intended). Each story brings its own unique flavour to the proceedings. 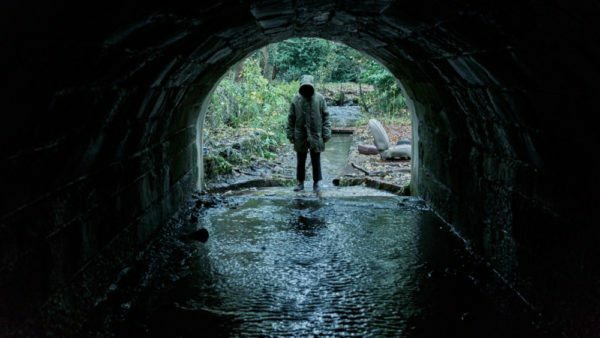 The first is a bump-in-the-night spook-a-thon, the second is a creature feature and the third is a straight up ghost story – and each one works brilliantly in its format. Tony’s torment from a mysterious noise maker is edge-of-your-seat stuff, while Freeman brings the pure scares as you hide behind your fingers afraid of what might come next. Like the stage play the second story is the weakest of the three, but Nyman and Dyson have improved on it here somewhat by adding in the Goodman presence and exploring Alex as an oddball teenager further. So good are the moments surrounding the story that you sort of wish Goodman was investigating his bizarre parents rather than Alex’s yarn. 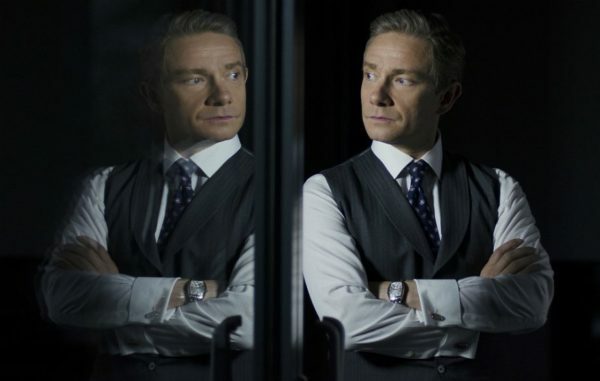 Nyman and Dyson truly succeed in not only bringing Ghost Stories to the big screen but adapting it to work. In the original play Goodman is a lecturer explaining to the audience the cases he’s investigated, but here we actually get to see him doing the investigations. 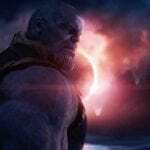 It works in the sense of building a bigger world, but also adds more gravitas to the film’s conclusion which – unless you’ve seen the stage play – should catch most viewers off guard. There are some wonderful visual clues dotted around the film that expand a much bigger story, and Nyman and Dyson have clearly spent a lot of time working out the intricacies of making this endeavour work. Performances across the board are great, with Whitehouse, Rifkind and Nyman shining in their respective roles. Whitehouse in particular, who British audiences will mostly know for his comedic work, is excellent as the pissed off and miserable night watchman; smoking cigarettes in a dingy and grimy pub that feels like it has its own ghost stories to tell. Freeman’s gun toting toff might come off as a caricature to some viewers, but his performance cannot be questioned. Ghost Stories doesn’t quite capture the unimaginable scares the stage play managed, but it still brings British horror by the bucket load. It’s so low-key that most of the time you’ll just feel unnerved by everything that’s happening on screen from start to end rather than being spooked by loud noises. If you’re sick and tired of the Hollywood formula of ‘peek-a-boo’ jump scares, Ghost Stories will feel like a refreshing change of pace. 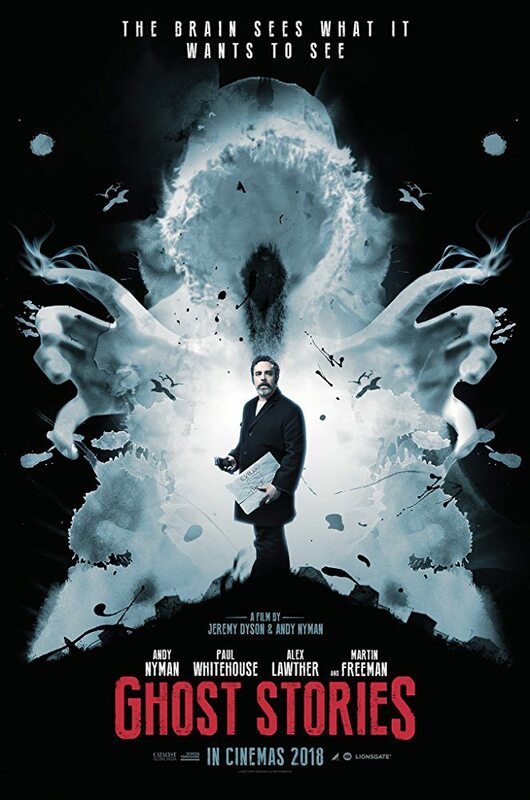 A great success for Andy Nyman and Jeremy Dyson, and well worth your time.